Beam was founded in Singapore and has now begun their expansion plans throughout Asia Pacific, with Malaysia being their first destination. The e-scooter startup has raised USD6.4 million in seed funding from Sequoia India, Founders Fund, ZhenFund, and Class 5 Global in October of 2018. The bike sharing scene in Malaysia has died down with bike sharing startups like oBike and ofo disappearing and leaving their yellow bikes all around KL. This has led Kuala Lumpur City Hall (DBKL) facing an uphill task of clearing thousands of yellow bikes that have been piling up in the depots. It’s gotten so bad that Kuala Lumpur mayor Datuk Nor Hisham Ahmad Dahlan has now given an ultimatum to oBike to claim their bikes by mid-April or they will be seized and destroyed, or sold for scrap. With bike sharing out of the way in Malaysia, another form of sharing has popped up looking to replace it as the alternative form of transportation—e-scooters. This isn’t particularly new, with Singaporeans across the causeway having enjoyed e-scooters for a while now. But this year, we Malaysians have finally gotten our hands on it. 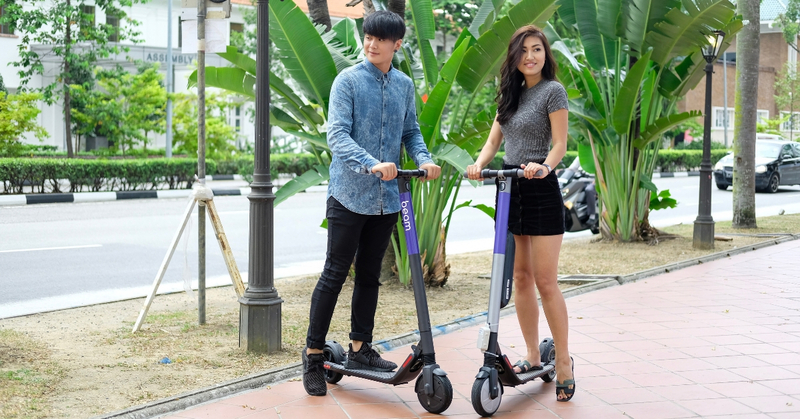 The first e-scooter company that set foot in Malaysia was Neuron Mobility from Singapore, but hot on their heels are Beam also from Singapore (not to be confused with Malaysian startup BEAM). Beam was launched in July 2018 by CEO Alan Jiang, and CTO Deb Gangopadhyay. Alan has a background in expanding transportation options with his previous role at ofo where he led the APAC operations and also played a key role in launching Uber across Asia in countries such as China, Malaysia, Indonesia, and Vietnam. As for Deb, he is a founder and engineer who has led successful SaaS tech startups in Silicon Valley and managed some of the world’s top grossing mobile products while at Pocket Gems. 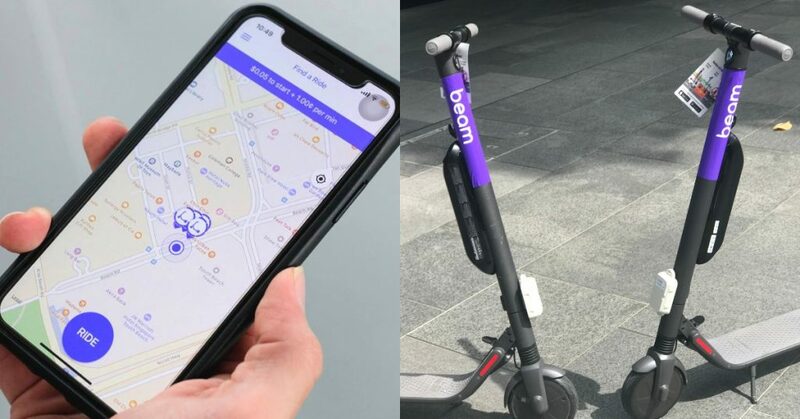 Seeing as there is a high demand for mobility options in Malaysia, Christopher Hilton, VP of Corporate Affairs for Beam added that the business will be a success as they will have strong operations and support staff to ensure that e-scooters will be successful on the ground. As for the age old question of bikes / e-scooters being left everywhere, Christopher mentioned that although they will be using a dockless system, all of their e-scooters will be equipped with GPS tracking. “We maintain the fleet through a combination of operational staff and freelance support to charge and redistribute the vehicles at designated areas everyday,” he said. He further explained that Beam will work to collect, charge, and redistribute the e-scooters every night. 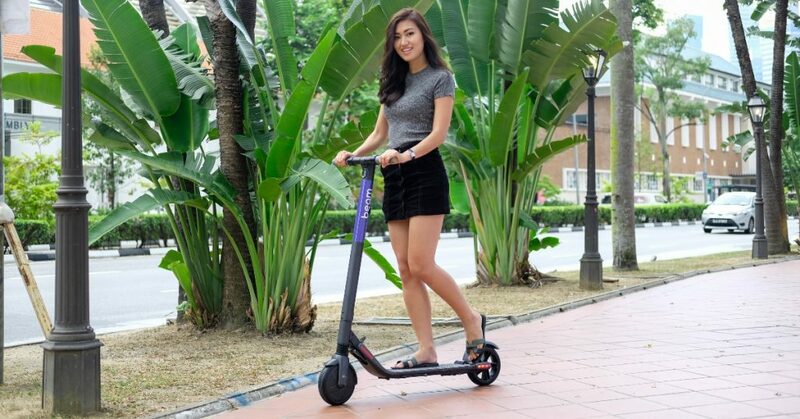 Beam e-scooters are already ready for users to use around KL in the Bukit Bintang and Jalan Raja Chulan areas, and users just need to download the Beam app to locate, unlock, and then ride it. It costs RM2.50 to unlock the e-scooter and RM0.30 for every minute of riding. As a way to prevent the same issues that plagued bike sharing, the Beam team is focused on building and nurturing a mobility community. Additionally, they also actively communicate with users around their responsibility as part of the mobility sharing community. Christopher emphasised that this was important as the sharing platform can only work when they collaborate with communities and create an ecosystem that benefits the environment they operate in. One way Beam does this is by working together with individuals who sign up as chargers on their platform, these chargers will then be rewarded for helping to charge Beam e-scooters. “On signing up, [they] receive training and the equipment necessary to charge scooters safely and are subsequently paid, per scooter, for picking up, charging, and depositing them at an allocated location,” said Christopher. Other than working with the community, they’re also working closely with the local authorities. “We have been working closely with DBKL around our operations to develop a regulated environment,” he explained. It’s important to work with the authorities as well because in Singapore, the Land Transport Authority (LTA) had impounded 42 PMDS or personal mobility devices (another way to refer to e-scooters) from different firms. The e-scooters were impounded because they were found available for hire at public places despite the firms not having the required licenses or exemptions from the Minister of Transport. As of writing, in Singapore, Beam are currently working through an application process with the local regulators to obtain an operating license and they are confident that they’ll be given the green light later this year. Although Beam was only founded in July last year, they’ve already received seed funding a few months after in October 2018. Speaking about their prospects in Malaysia, especially in Kuala Lumpur, they’ve already recorded thousands of signups in the first month of trial. Furthermore, in the city of KL there is a unique opportunity to introduce alternative transportation options. However, it’s never going to be a smooth ride as the business is an entirely new venture and so are e-scooters in Malaysia. “With that comes a multitude of challenges requiring the business to be agile and intelligent with resources, and for the team to be creative and flexible at all times,” he explained. The process of introducing a new form of transportation is also exciting to Christopher as it allows them to see how mindsets change regarding how individuals interact with their cities. With their first step out of Singapore, he mentioned that Beam will continue to focus on expansion across Asia Pacific in the coming years. If you would like to try out Beam’s e-scooters, you can download the Beam app for Android devices here and iOS devices here.